Located in the South America and famous for its Incan ruins, Jungle, Mountains and, of course, Paddington Bear, Peru is a colourful and friendly destination. 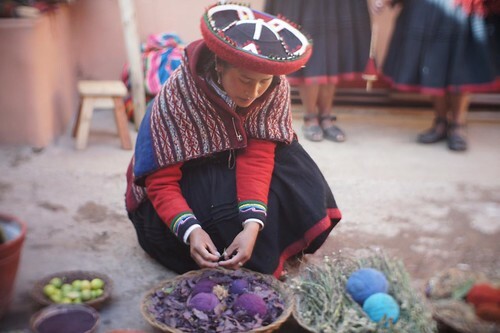 Part of its charm is its rich heritage, with a culture based on the fusion of the ancient indigenous Incan empire and the Spanish Colonialists who arrived in 1529. Whilst much is known of Peru since the conquest, life beforehand is shrouded in mystery as there was no written language and no documentation. What we do know about Incan culture and tradition is based on folklore and archaeologist's findings. A trip to Peru, therefore, is not complete without visiting several of the Incan sites, to build a picture of the history. Peru isn't just about crumbling ruins and ancient Incas, however. The country is bisected by the vast Andes range, which runs throughout South America. With some of the highest peaks towering at over 5,000m, they offer deep gorges, volcano craters and far-reaching mountain views which make it the perfect destination for trekkers and white water rafting enthusiasts. To the east of the Andes 2/3 of the country is covered in lush jungle, or rainforest, teeming with wild- and bird life. Tourism to this part of the country is still in its relatively early stages, partly due to accessibility, but it is improving all the time. Cusco was the ancient capital of the Incan empire and is the focal point of many trips to Peru. The city is an intriguing mixture of Spanish colonialism and Quechan heritage, reflected in the architecture and art seen in the cathedral and museums. The atmosphere in Cusco is very laid-back, but at the same time there is always something going on. Wander for a while and you will come across a street busker, or a buzzing market stall. If you’re very lucky, you may just get to see one of the many fiestas the town is famous for. 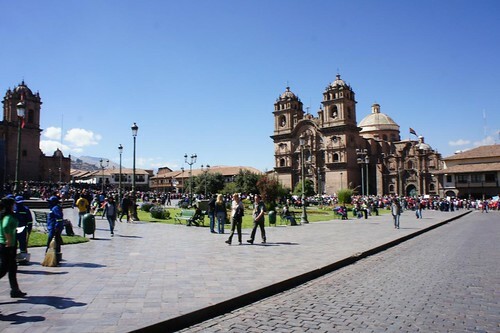 The Plaza de Armas is at the heart of Cusco and is the best starting point for a walking tour of the city. The cathedral and Inca museum are particularly worthy of a visit, as are the Sachsayhuaman ruins, if you can face the walk. Many people head to Cusco before heading out on one of the many multi-day treks possible in the area. One note of caution, flying into here from sea level can cause mild altitude sickness, so make sure you allow yourself enough room in your itinerary to acclimatise. Most symptoms ease off after 24 hours, but you are advised to wait 2 -3 days before starting a trek. Cusco has a domestic airport which is serviced by several airlines flying to many destinations in Peru. From Cusco, the must-see place to visit is the Sacred Valley, which many people do as a day trip. The landscape serves as a spectacular backdrop to the beautifully preserved Incan ruins and terraces at Pisac and Ollantaytambo. 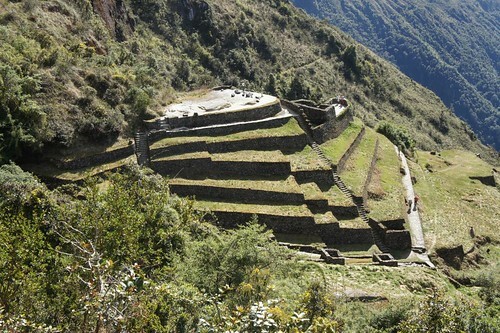 The ruins give a very useful insight into Incan history and their ancient ways of life. Cultural experiences are also available, with visits to local weaver workshops a particular highlight. Tours can be undertaken privately or in a group. The advantage of having your individual guide is that you can go at your own pace and can delve into lots of detail. The bus trips, however, are cheaper. 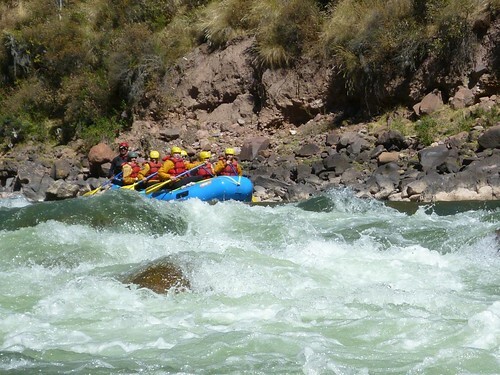 For the more active, white water rafting trips are run on the Urubamba River on class 2 – 3 rapids. It makes for an exhilarating excursion, so is especially good for clearing up any jetlag. When booking, ensure that the operator adheres to safety standards. 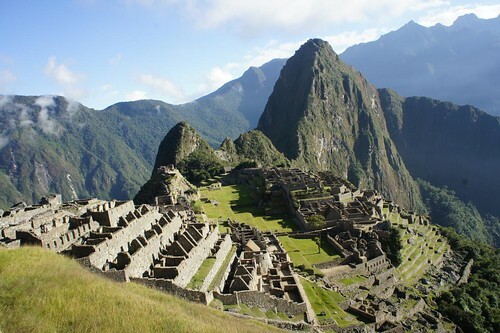 The ancient citadel of Machu Picchu was only discovered 100 years ago and retains its magical and mystical air. The terraces and ancient buildings remain a puzzle to archaeologists and historians alike, who are still undecided as to its original purpose. The remote setting, in the heart of the Andes and surrounded by cloud forest, makes it an un-missable experience. Trekkers can reach the site on foot via the Inca Trail, most commonly on a 4 day/ 3 night trek, although a shorter 2 day trek is also available. The trail is very popular and operated on a permit basis, so booking far in advance is advisable. If you don’t want to trek, you can visit Machu Picchu by catching a train from Ollantaytambo in the Sacred Valley to Aguas Calientes and then catching a bus to the ruins. South East of Cusco is South America's highest lake; Lake Titicaca. At 3,800m, the vast lake stretches 120 by 80 miles and forms the border with Bolivia. Said to have been the birth place of the Inca Empire, the lake is home to the Uros people, who live on man-made floating islands made out of reeds on the lake. The closest town to the lake is Puno, which is the stopping off place for people wanting to spend either the day or an overnight trip on Titicaca. Puno itself is not particularly exciting place to visit; most people just come for the lake which you can visit on a day trip or overnight on one of the islands in a homestay. You can get to Puno either by bus from Cusco or Arequipa, or by flying into the airport at Juliaca. We strongly advise you visit Lake Titicaca after having first acclimatised in Cusco or Arequipa. Known as the white city, Arequipa is famed for its grand colonial buildings, constructed out of the local white volcanic rock. Peru’s second largest city is vibrant and offers some fantastic local restaurants and markets. The magnificent cathedral on the central square, Plaza de Armas is worth a visit. It has been rebuilt many times on account of earthquake damage, but still retains its grandeur. Many people also choose to go to the Museum of Santuarios Andinos (or the Museo Santury) which houses the frozen body of Juanita, an Incan princess. Her preserved body was discovered on the snowy mountains and it is thought that she was there as a sacrifice to the sun god, although there is no proof to this claim. Arequipa can be reached by air or by bus from Puno. The landscape surrounding Arequipa is some of Peru’s most dramatic and wild, with extinct volcanoes, snow- capped mountains and deep mountain gorges and canyons. 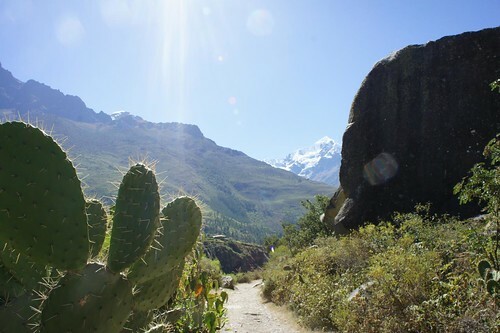 The most accessible of these is the dramatic Colca Canyon, the second deepest canyon in the world. At over 100km long and 3,000m deep, it is twice as deep as the Grand Canyon. The best time to arrive is early in the morning, when you have the best chance of seeing the magnificent condors soaring above the canyon. You can visit Colca Canyon on an over-night trip from Arequipa. You can then return the same way, or head up to Lake Titicaca. East of the Andes, 60% of Peru is covered in lush jungle, or rainforest. 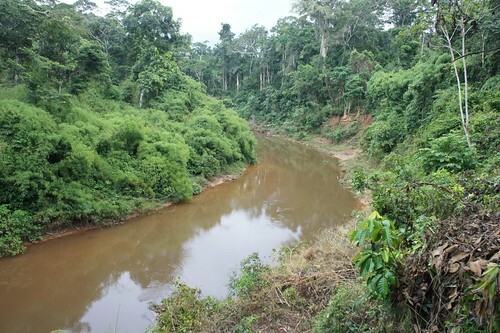 Much of this remains off-limits to tourists, but the Manu and Tambopata reserves are open for visitors, with the latter more accessible. 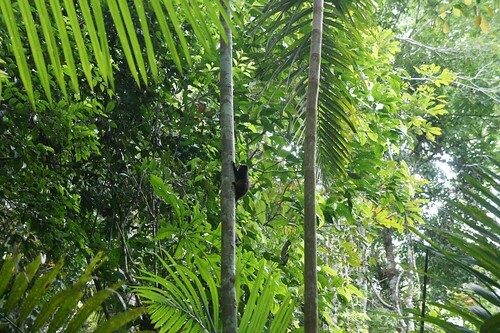 Brimming with wildlife and birds, the jungle is a nature-lovers paradise. You can hope to see caimans basking on the banks of the muddy river, brightly coloured macaws screeching at clay licks and monkeys leaping in the canopy. Walks through the dense forest are incredible, with neither the fauna nor flora failing to amaze. To make the most out of your jungle experience, we recommend you stay for 3 – 4 days, which allows enough time to get deep into the jungle, away from all civilisation. You can expect basic jungle lodges in some of the best settings Mother Nature has to offer. The best starting point for your jungle adventure is Puerto Maldonado, from where you catch a boat upstream. You can fly to Puerto Maldonado from Cusco or Lima. Not to be over-looked, Peru’s capital, Lima is also deserving of a visit. Whilst it may not hold the spectacular sights of Arequipa & Cusco, it is a vibrant city and makes for a good place to recover from your jetlag. Many people choose to stay in the popular Miraflores district, which overlooks the Pacific Ocean and plays host to some modern restaurants and bars, giving you a good feel for contemporary Lima. In the old town, you can have a taste of Colonial times by visiting the 17th Century St Francis Convent and the Plaza Mayor, Plaza San Martin & Palacio de Gobierno. Most flights from the UK arrive here early in the morning, so we recommend that you break your journey in Lima for the day, explore and then travel to your onward destination the following day. This gives you a chance to see the highlights of the city and also to overcome the worst of your jetlag so that you do not have to cope with jetlag and altitude acclimatisation at the same time. Please make sure you see a health care professional when planning your trip, as some destinations require vaccinations / anti-malarials.